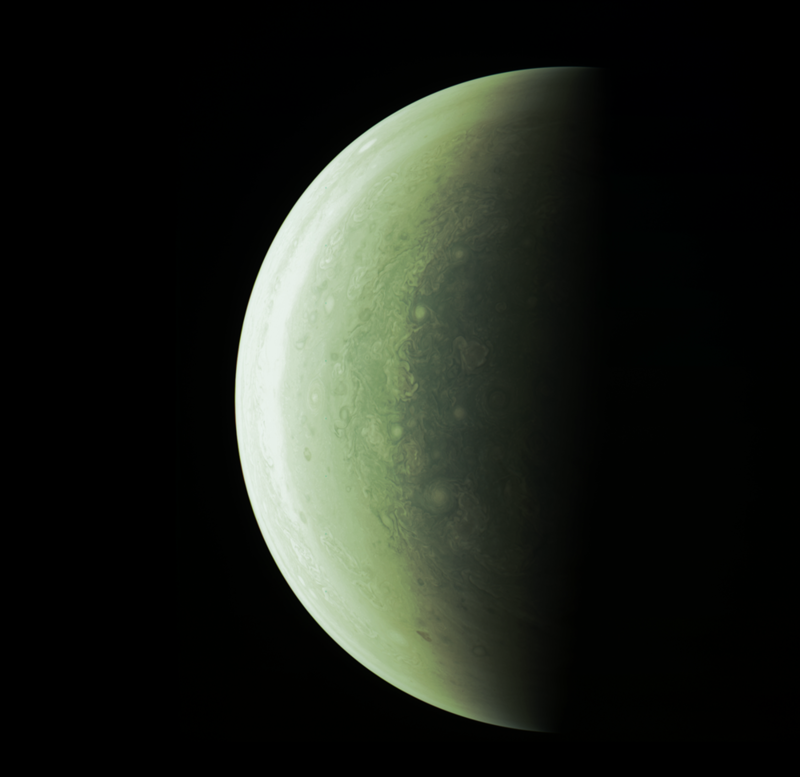 This domain is dedicated to "inofficial" amateur processing of JunoCam images. It is not an official NASA website, but a private project. JunoCam is the Education and Outreach Camera of NASA's Juno mission. JunoCam has taken first high resolution images of Jupiter on August 27, 2016. Consider also visiting the official Mission Juno website. The image has been taken on August 27, 2016. The image is allowed to be treated as being in the public domain. However, crediting the video to "NASA / SwRI / MSSS / Gerald Eichstädt", appears appropriate. Add your name or data sources to the credit list, whenever you create derived works. Downloading, viewing, distributing the file, as well as creating derived work is on your own risk.